Projects speed and kilometres on your windshield – never have to take your eyes off the road! Taking your eyes off the road for just two seconds when driving at 50km/h means you’ll travel for 27 metres effectively blind. Be mindful of your speed without ever taking your eyes off the road, and easily keep track of important dashboard information while you drive thanks to the Car Head Up Display. 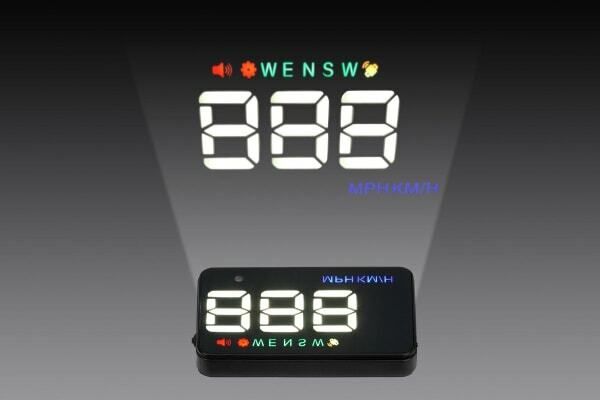 The Car Head Up Display sets up in seconds. All you need to do is plug it into your car’s 12V socket, position the display correctly and you’re ready to go! 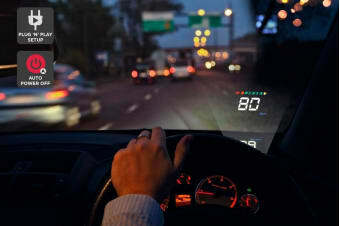 Many new, high-end vehicles are being built with head up displays. That’s because it’s a safer, easier way to view vital driving information. GPS satellite tracking sends your driving speed straight to your device, which projects this important information onto your windshield, directly in your driving line of sight. 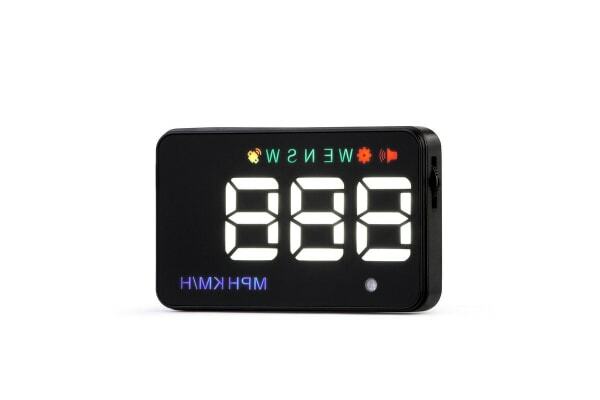 Plus, with a HD display and auto brightness adjustment, the GPS Car Head Up Display is able to project clear and vivid information in all driving conditions, day and night.